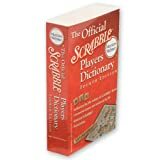 Scrabble is by far world's most popular word game. 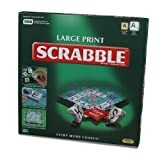 More than 100 million Scrabble games have been sold in 29 languages. Two till four players compete to build high-scoring words on a crossword-like board in Scrabble. Scrabble is designed by Alfred Mosher Butts. He created first Lexiko, a scoring word game, in the early 1930s and 1940. Later, this game was called Criss Cross Words. 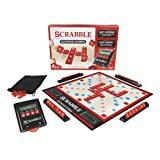 In 1948, the game was first published commercially as Scrabble including a redesigned gameboard. Today, the game is owned by Hasbro and by Mattel. There are estimated 40 million leisure Scrabble players in the USA and Canada alone. Among 10.000 of them belong to nearly 300 clubs and meet every week to compete in over 200 official tournaments each year. The game board is made up of cells in a square grid. The board is 15 cells wide and 15 cells high. There are excatly 100 tiles to place on the game board: 2 blanks and 92 with a letter and value.